Suge Knight got into a full contact FIST FIGHT with another man at a Las Vegas casino this weekend -- unleashing the fury on a man half his size. It all went down on the casino floor at the Aria Hotel in Las Vegas early Saturday morning. 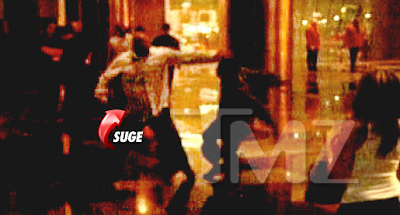 Suge can be seen throwing haymaker after haymaker, but it doesn't look like he landed a single punch. According to an eyewitness, Suge flew off the handle when the little man approached him with a challenge saying, "I can take you." Eventually, the whole thing was broken up -- and cops were spotted at the hotel soon after. We're told Suge was not arrested over the incident.